This guide will help you understand how to use the new V3 web portal. The ODYSSEY OMNI-CHANNEL API is designed and updated by our developers to allow simple, fast and efficient integration into your applications, websites and software. The integration of our API will allow you to quickly enhance the functionality of your business tools by consolidating Odyssey’s OMNI-CHANNEL communication methods. You will be able to automate the diffusion of all types of messages: confirmation of order, payment, appointment, delivery, alerts, authentication of your customers, invitation regardless of the media: E-MAIL, SMS, VOICE and FAX. You will benefit from a direct interconnection between your applications and the broadcast platform ODYSSEY, compatibility with the most common programming languages (PHP, Java, ASP, C ++, Ruby, WINDEV, etc). Please visit our YouTube Channel to view all of our videos. 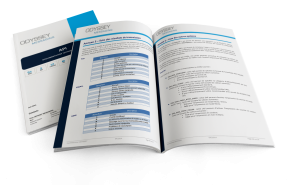 We’d love to talk to you about how Odyssey can help you with your communication needs. You will receive an SMS from Odyssey Services after filling out the form below. A download link was sent to the email that you provided.